"How do I make a Facebook video with my own videos and photos for sharing with my friends?" Nowadays many people would like to take time to surf on Facebook to talk, watch videos, and share their interesting daily life. That makes Facebook the popular platform to share personal videos and business commercial video ads to get more views or achieve commercial purpose. So how can people make videos for Facebook? In this case, you can use a Facebook video maker online or desktop solution to create Facebook videos or video ads. Filmora Video Editor for Windows (or Filmora Video Editor for Mac) is Facebook video creator software that stands out among other video editing tools. It is popular and welcome by users since it enables easy video editing on your Windows and Mac computer. This Facebook video maker is particularly designed for beginners and professionals to do basic and advanced video editing. 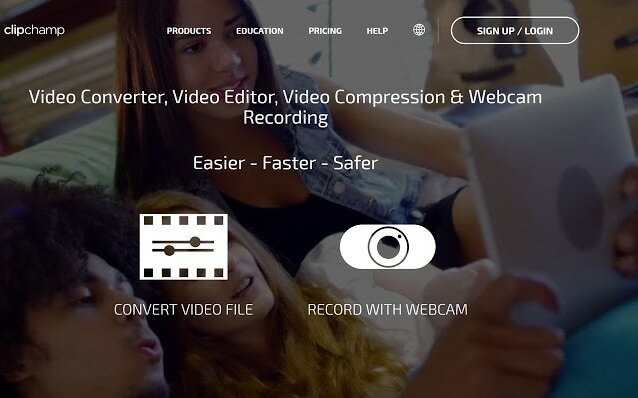 You are able to edit videos from any formats, platforms or online video sites, and create videos in any format that can be used on your mobile devices and social media sharing sites including Facebook. 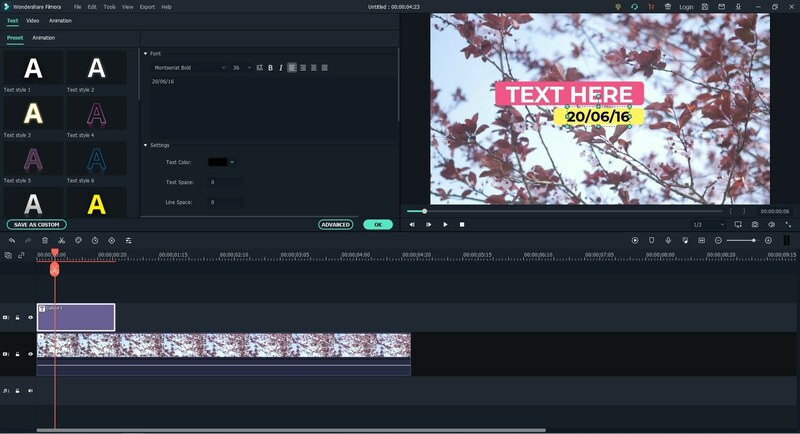 With this video editing software, you can create and customize your videos with handy and easy-to-use editing tools, such as trimming, cropping, rotating, combining, splitting, and many other tools. It lets you to turn any videos into masterpiece for your Facebook sharing with your friends. You can fully control your videos with built-in video editing tools and video enhancing tools. It allows you to do any changes on the video including adjusting the aspect ratio, brightness, contrast, speed, hue, etc. You are able to create unique Facebook videos by adding filters, transitions, titles, overlays, and other special effects. This video editor has the ability to share your videos to Facebook, YouTube and Vimeo directly. This Facebook video creator allows you to import videos from any sources. After you enter the "FULL FEATURE MODE" from the main window of the program, you can click on the "IMPORT" button to select an option to import your source videos. It lets you to add videos from your desktop, phones, cameras, or online video-sharing sites. It is possible to join several short video clips into one video. You can add multiple videos to the program, and then drag them in the order you want to the timeline. The videos will be combined into a new complete video. You can also drag the connection part of the new video to adjust the duration of each clip. Sometimes you might want to add funny texts to your Facebook video. If so, you can click on the "TEXT/CREDIT" icon above the timeline, and select a text sample to add to the timeline. Double click on the text sample, you can edit the texts and change the color, font, size of the texts. If everything is OK, you just click on the "EXPORT" button to save the video. You are able to export the video to devices like iPad, iPhone, Samsung Galaxy, Android devices, PS4, Xbox, and more, so that you can upload the video to Facebook. Corel VideoStudio Ultimate is another recommended Facebook video creator software, which comes with a wide range of useful and fun video creating tools. It an ultimate video editing tools with simple and clear interface. You are able to edit and create videos in 3D media, 4K Ultra HD and 360-degree VR. It has the ability for tracking multipoint motion and multicam editing. 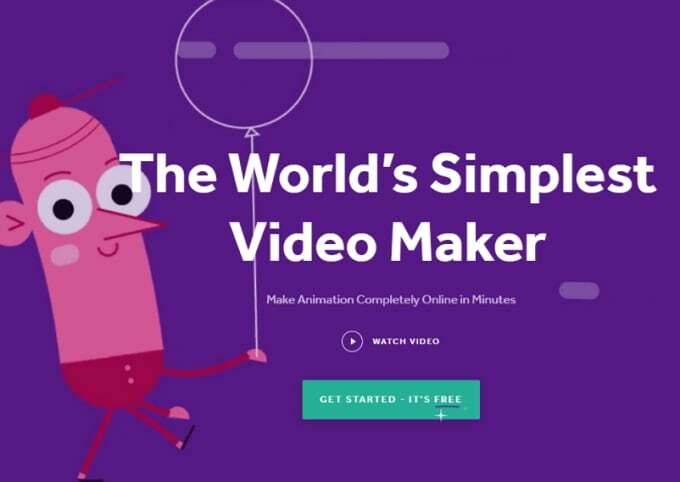 This Facebook video creator can also create HTML5 video page and stop-motion. Corel is always struggling on producing video editing tool with most featured-packed. The latest update of Corel VideoStudio Ultimate adds the features of supporting 3D titles, action-cam lens correction, and 360-degree support. Cons: The video rendering speed is very low. You are not able to search for media and effect through the program. And it only provides you with 20 video overlay effects. 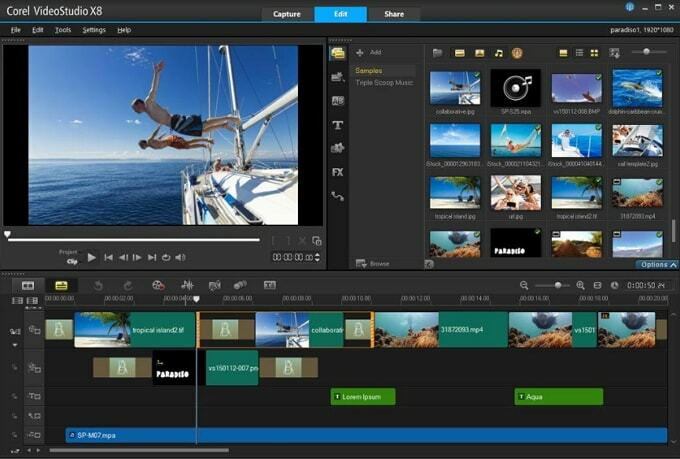 Magix Movie Edit Pro Premium is a Facebook video editor that provides you with a number of video effects. And it is also a video titling tool and comes with movie trailer templates. You can use Magix Movie Edit Pro Premium to edit audio files. It has more than 100 free templates. It does well support 4K HD video files. This Facebook video creator allows you to create digital movies from various templates and storyboard options to 360-degree, 4K and multicam editing. However, it is not as fast as other video editing software. Cons: Magix Movie Edit Pro Premium has difficult procedures. You have few import options and organization tools. To support more formats, you might need extra fees or codecs downloaded. 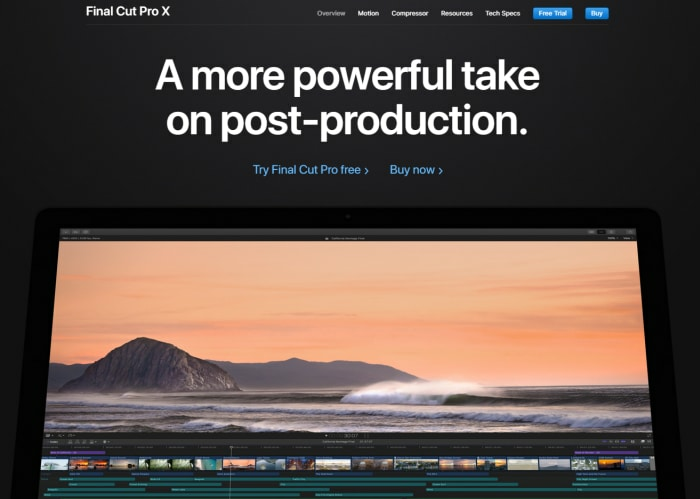 Final Cut Pro X is produced by Apple, which allows you to edit and create videos for Facebook on Mac OS X. 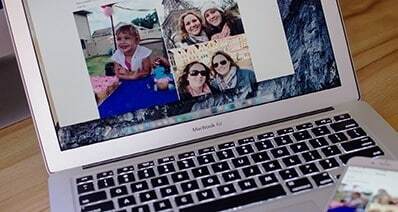 When creating Facebook videos, you can work on magnetic and trackless timeline. There are a lots of organization tools, such as ratings, libraries, auto analysis for faces, tagging, and scenes. It lets you edit or create HDR and 360-degree videos. Multicam is also supported. This Facebook video creator enables fast performance. And it supports MacBook Touch Bar. 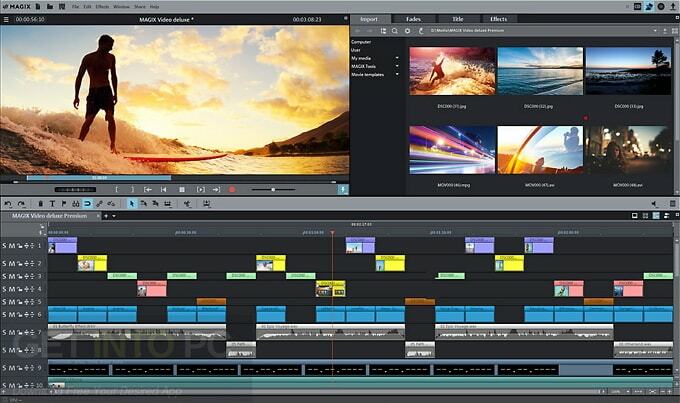 Final Cut Pro X can be professional video editor software, which gives you a powerful interface. The recent update is to support 360-degree videos and improve video stability. Cons: The longtime editors might be turned off by nontraditional timeline edit. It needs a third-party plug in for working on projects from previous versions. For 360-degree videos, there is no motion tracking and stabilization. 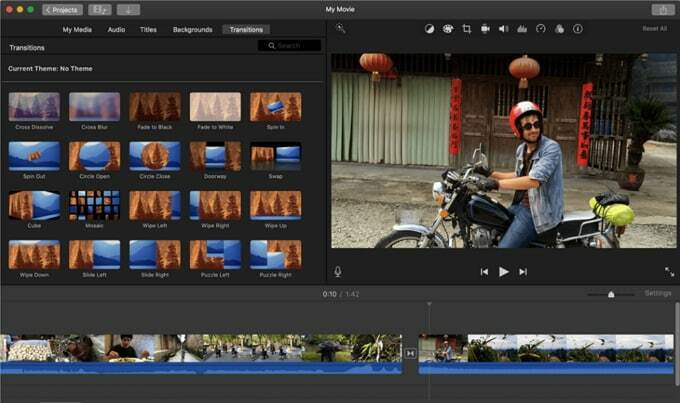 iMovie is another Mac OS X Facebook video editor with simple-to-use interface. It makes consistent movie looks with color matching. There are classy themes to fit your needs. It provides you with a number of audio tools and chroma-keying tools. Another handy feature is to share videos and movies to any of your Apple gears. iMovie is an entry-level video editing software from Apple, allowing you to make impressive productions from your photos and footages. And it supports to create and edit 4K videos. Cons: iMovie is not a flexible video editor when comparing with competitors. Since it is simple, it might lack of useful tools. It does not support motion tracking and multi-cam features. 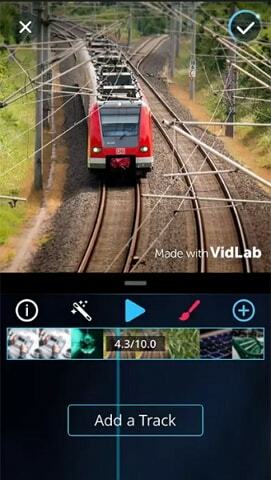 VidLab - Video Editor & Movies is a Facebook video editor app for iPhone. It supports to edit multiple clips and multiple tracks. You can create beautiful and fun Facebook videos and photos. 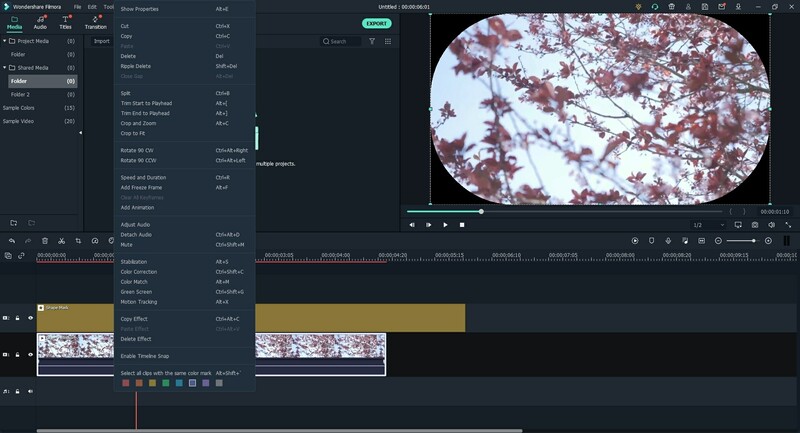 When working with VidLab, you are able to add text, music, artwork, video, overlays, sound effects, voice-overs, and more effects to your videos and photos. It supports iOS 10.0 or later. 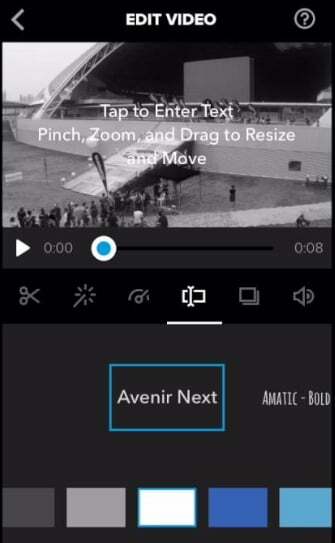 • You can add beautiful texts to your videos. It lets you fully control on the animation, opacity, size and position of the video texts. • There are a lots of special collage templates, which you can use to share on Facebook and other social media with your friends and family. 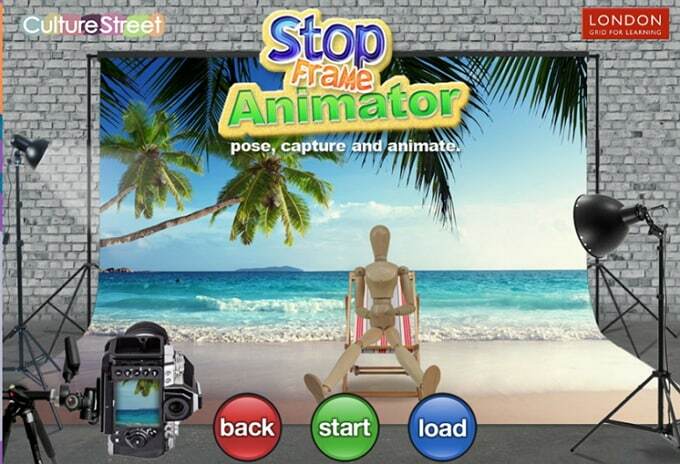 • Besides, you can have stunning video effects, filters, overlays, masks, music and sound, and many other effects. • The free version of VidLab has limited features and effects. To get more beautiful effects, you have to pay extra fees. This Facebook video editor app is an alternative to Adobe Premiere Clip and iMovie. 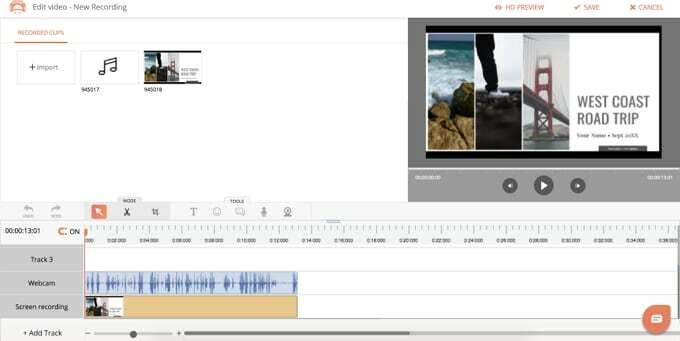 Write-on Video app lets you apply audio recordings, texts and drawings to your videos. You can use it to edit videos, make movies, create scripts, as well as annotating your storyboard. It is easy-to-use without complicated learning. You can make your personal videos in seconds and share the videos on the go. It can work well on iOS 9.0 or above. • It is an intuitive Facebook video editor app for iPad and iPhone with easy-to-use timeline. • To cut, crop, and combine videos is as easy as a breeze. • It allows you to add captions by adjusting the font style, position, and color of the texts. • It sometimes has difficulty on saving videos. And the free version only can edit limited videos. For more video editing, you have to pay $3.99 subscription fees. 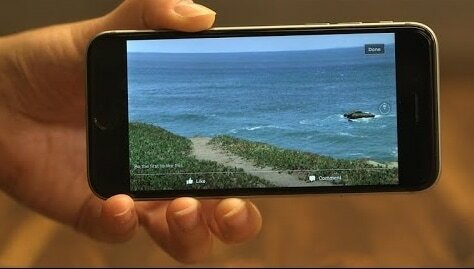 Splice is a video editing app from GoPro, allowing you to edit and create videos for Facebook on your iPhone. It is a simple yet powerful Facebook video editor app. You can use it to make professional look and customized videos on your iPad, iPhone and iPod Touch. Simply use it to adjust transitions, add slow motion effects, trim videos, and do more to make wonderful videos. Splice gives you a never easier way to edit videos like a pro on your mobile device. Splice works on iOS 9 or later. • It has powerful editing tools, including background color adjustment, title slides, custom outro or text overlay adding. • You can customize your video sound track and apply free sound and music effects to your videos. • It is easily to save and share your videos to Facebook, Instagram, YouTube, Vimeo, and many other video-sharing sites. 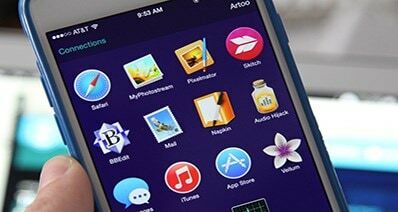 • You have to struggle more to learn to use the app. The interface of this Facebook video editor app is very complex. VivaVideo - Video Editor & Photo Movie is a Facebook video editor app for Android devices. 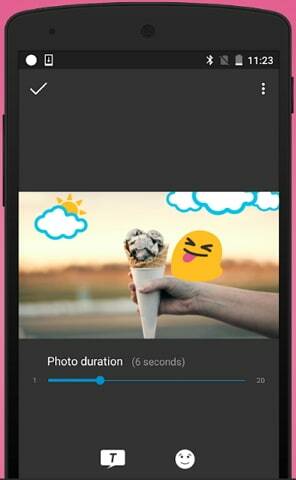 This app can be a best video editing app awarded by top Android bloggers. It is a movie creator with a large number of features. You are allowed to create movies from videos and music. With this video editor app, you are able to make professional videos and movies. You can have useful and unique effects, including filters, stickers, animated clips, captions or subtitles, and more special effects. VivaVideo is best for Android 4.1 or above. 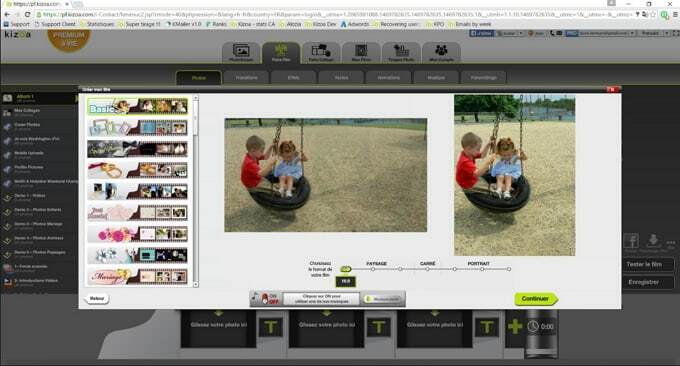 • The video editing tools allow you to trim and combine video clips in video editing storyboard. • You are able to change the video speed to make fast motion and slow motion videos. • It is a video creator with music, which lets you add background music to your video. • The free version of VivaVideo offers limited features and effects. Only with in-app purchase, you can enjoy more powerful video editing experience. 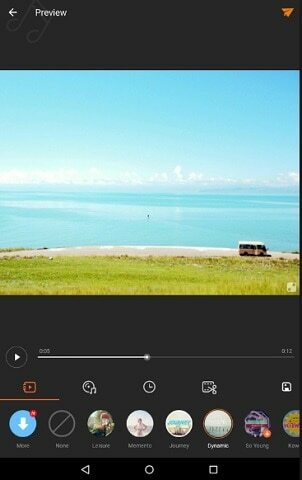 Video Editor is an excellence Facebook video editor app for Android to edit, create and share videos on an amazing way. This video editor app is easy to use and allows you to edit and create videos for Facebook, YouTube, Twitter, Instagram, and other social media sites. It lets you to add effects, themes, transitions, filters, voiceover, emojis, music and other effects to videos. This handy mobile app enables you to edit videos and photos from your mobile gallery or captured from this app. You can use it on Android 4.3 or above. • It provides you with 30 more video themes and filter templates to fit your videos. • You are able to add transitions, filters, titles, captions, music and other special effects. • It has the ability to save and share created videos to Facebook, Twitter, YouTube and more. 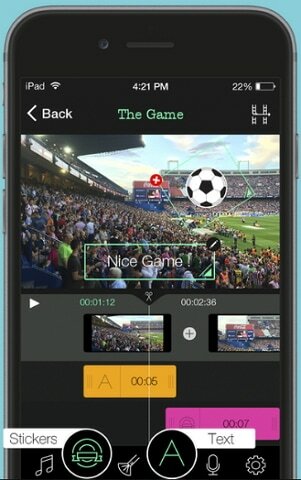 • This video editor app comes with lack of video editing tools. And you have to pay to enjoy advanced effects. Biteable is free Facebook video editor online software allowing you to edit and create videos for Facebook and other sites for totally free. You can use it to create video fast and painless. Biteable is designed with a lots of easy-to-use free Facebook video templates in any scenes for your to share videos on Facebook in any occasion. What you need to do is to select your scenes, find your fave, choose your preferred audio tracks and add text. With Biteable free Facebook video editor online tool, you are able to create and customize your wonderful Facebook videos in minutes. 1. Sign up or log in your Biteable account. 2. Select your desired Facebook video templates. 3. Design your Facebook template by change colors, edit footages, images and audio. 4. Directly post the created Facebook video online to your page. Or you are able to use it on your Facebook video ad campaign. • The interface of this online tool is intuitive without extra training. And you are able to post the video to your Facebook page directly. • It might take long time to create a video sometimes. You need to update to subscription member to enjoy more Facebook video templates. clipchamp video editor is an online free Facebook video editor, which comes with diversified features to edit and create videos for your Facebook. 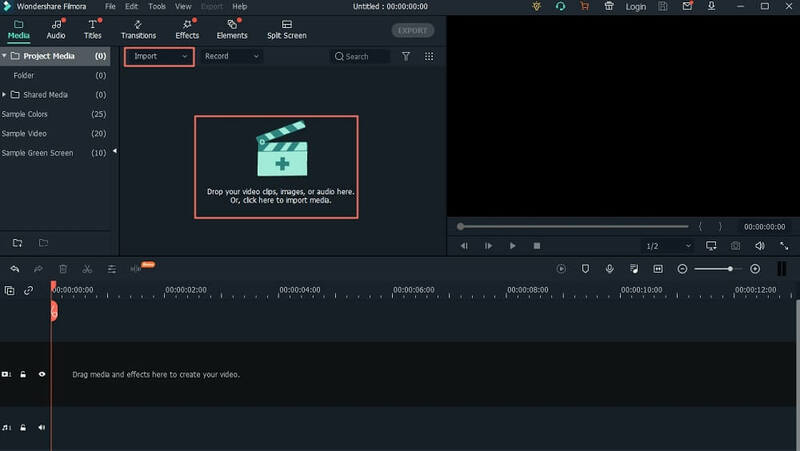 This online tool lets you to edit videos directly on the browser without uploading them to the program first. And it supports to edit videos in any size. You do not need to do much learning to use this tool. 1. Go to the site and start a new project. 2. Import media files to the site to start editing videos. 3. Drag and drop the video, audio and photo to the timeline for creating video. 4. When finish, save your video. • Directly edit videos for Facebook online without downloading programs. Allow you to edit any file size video. • You have to sign up the online tool and provides your personal information in order to use it to make videos. kizoa is a famous online video editing software that helps you to edit and create videos and photo slideshow for Facebook online for free. It has a straightforward interface, which helps you to cut videos to multiple videos easily. It lets you set the beginning and ending of the video using the time-bar underneath the video. To make sure precise editing, you can preview the edited video. 1. Go to the kizoa site. 2. Upload your video or photo to the site. 3. Select the video editing tool to customize your video. 4. Save and download the edited video. • It has straightforward video editing window. You can cut videos to as many clips as you want. • It also require subscription plan to enjoy advanced features. 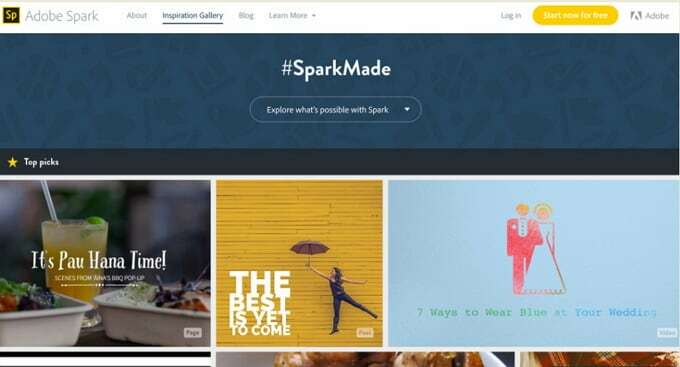 Adobe spark can be a powerful and professional Facebook video editor online tool. And it lets you to create videos for Facebook in minutes. This Adobe online solution is specially designed for making master art of videos. To use Adobe spark, you need a computer, browser, mouse, and stable network connection. You can upload videos to the program by dragging and dropping. To make your video professional, you can add captions and music to the video easily. 1. Open Adobe spark video maker site. 2. Upload videos, photos and audio files to the online tool. 3. Edit the video or add music and cation to the video. 4. Save and export the video your devices or to the video sites. • It is a professional online video editing tools providing you with powerful video editing and creating tools. • Like other Adobe desktop programs, this online tool is a bit complex and has limited features in free version. hippovideo video editor is simple to use Facebook video editor online program, helping you to make perfect videos. 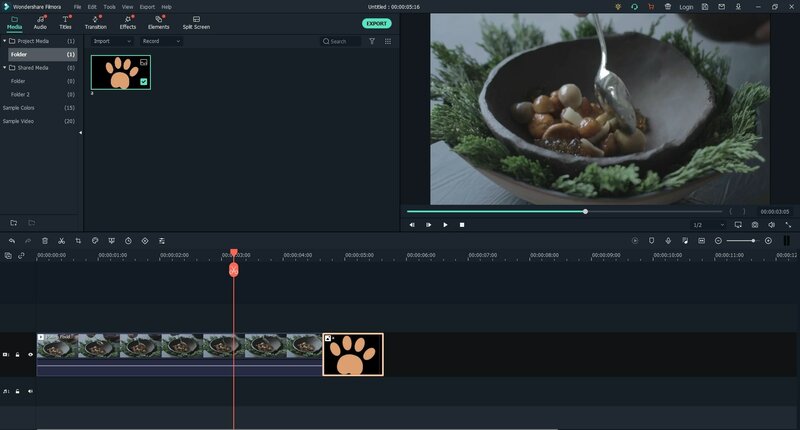 With Hippo Video editor, you are able to cut and trim video clips, add callout, emojis and texts to the video. It allows you to import and edit videos from any sources. Hippo Video editor let you to create great videos without hassle. 1. 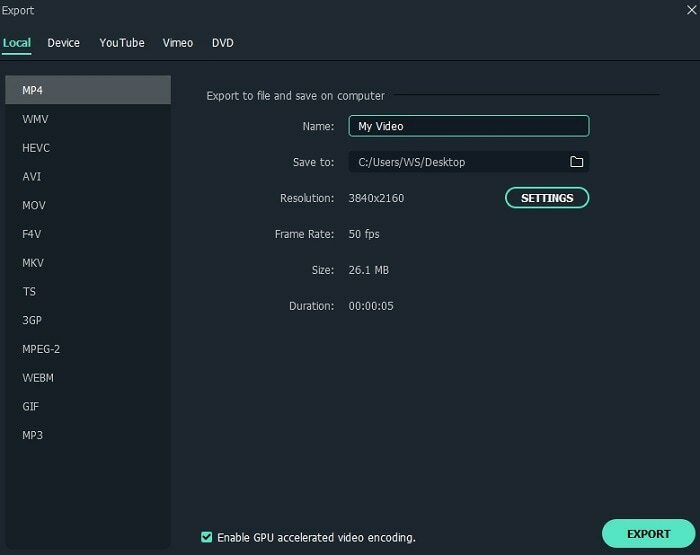 Open hippovideo video editor. 2. Sign up the online tool for free with your Facebook, Twitter, Linkedin or Email. 3. Import your video to the online tool. 4. Trim, cut, or add texts to the video. 5. Save the video after the editing. • It provides you with useful video editing tools. And it has the ability to create screen recording for free. • Only to use the business plan so that you are able to use more video editing features. 360 Videos are made by recording all 360 degrees of the scene simultaneously with a camera system. People can watch the 360 video in different angles by panning and rotating it. For Facebook users, if the video is recorded by spherical or 360 camera system and add 360 metadata to the video, you are able to upload the 360 video to your Facebook users at the same way as normal videos. The way to upload 360 videos to Facebook is very simple. Step 1. Before you publish the video to Facebook page, go to "Advanced" tab and check the box next to the video. And then click on the "360 Control" tab to set the initial orientation for the camera. And then click "Publish" to post the 360 video to Facebook. Step 2. Facebook can directly detect your video whether it is a 360 video. It is so, you will get a notification allowing you to display the video in 360 degree. To make the 360 video on your Facebook, you can navigate to the edit video page or open the notification. And check the box to enable 360 encoding. Lastly, click "Save" to get 360 video on Facebook. Is it possible to edit a video on your Facebook after you have posted the video to the site? The might be times you need to do some minor changes on the Facebook video after you have uploaded and posted it online. If so, it is better to do the video editing on the Facebook page directly without downloading the video and republish it again, especially for the video that gets views, shares and comments. In fact, Facebook allows you to edit a video on Facebook after posting. Below is the simple step to do so. Step 1. Go to your Facebook page to find the video that you want to edit. Step 2. 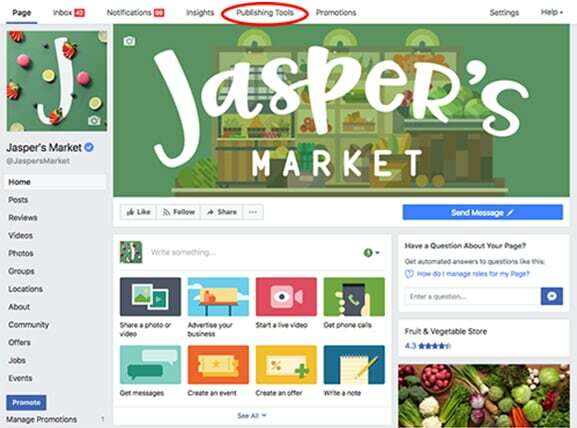 On the top of your Facebook page, click on the "Publishing Tools". Step 3. On the left of the page, click on the "Video Library". Step 4. Beside the video you want to edit, check the box. Step 5. Click on the "Actions" button on top of the page and select the "Edit Video…" option. Step 6. Do any change on your video. And then click on the "Save" button to finish editing. Here are top 15 Facebook video creator software for Mac, Windows, iPhone, Android and online platforms. And you can get the key features of each program, also the pros and cons points to the program. Just pick up the Facebook video editor like Filmora Video Editor you want to fit your platform and fit your video editing needs to create videos for Facebook. Also get tips to make 360 videos for Facebook and edit online videos on Facebook after posting. Easily recover lost data from Mac hard drive and external storage media. 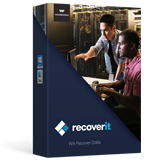 iSkysoft Data Recovery is the best Windows tool for you to recover lost files from different storage devices.